This look was perfect for a day of family and bbq. It was also great because it was a super warm and humid and the dress is very light weight. I'm pretty sure it was under $20 too so double score! ;) What do you think? Too much animal, or just enough? Love it! Looks great! I definitely get flack from my friends about wearing animal print...but I think it's fun and can give an outfit just the right "something"! I absolutely love your outfit! How chic! just enough! I love any kind of print, and the fact that this is just one long, simply cut piece makes it wonderful! Very pretty! Love the ring and bracelet too! Love the pattern of it. gah...not enough, lol! in my book, anyways! i love this dress and you look amazing in it. great bracelet! 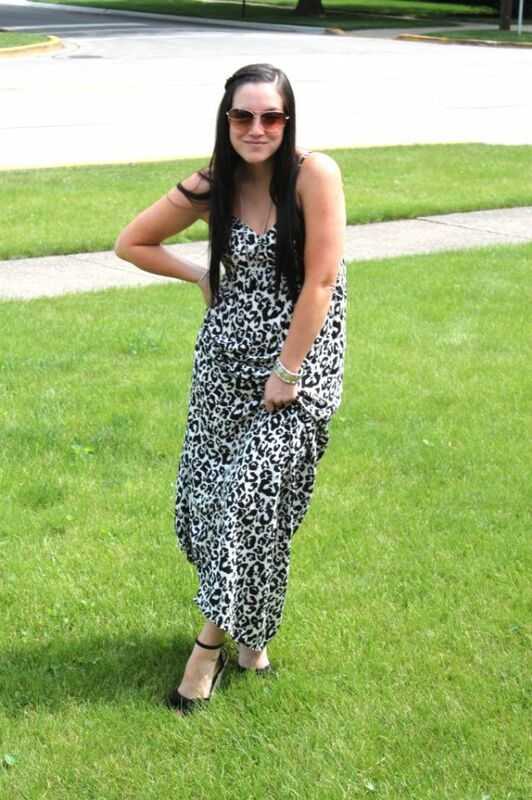 The maxi dress looks amazing on you!!! Love it!!! It looks great and there are so many different things you can wear with it to change it up...good investment. lovely dress - the title of your blog caught my eye!